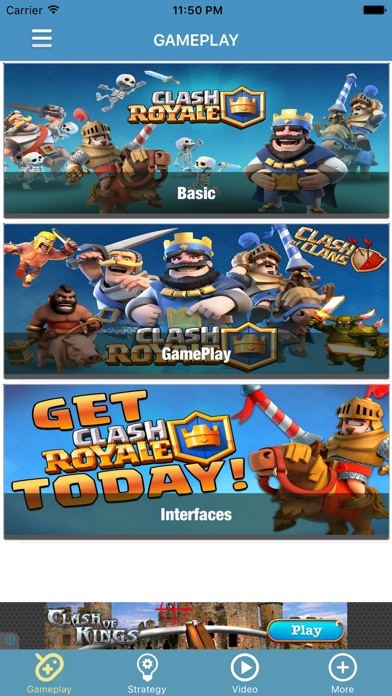 Best guide and helper for Clash Royale fans. 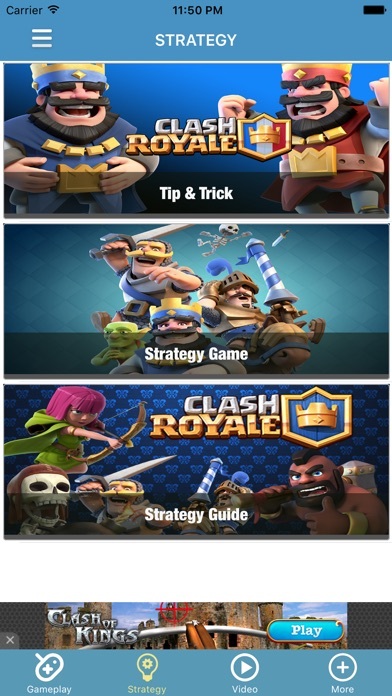 You can browse all the information about troop cards, spell cards etc in this Clash Royale Guide. 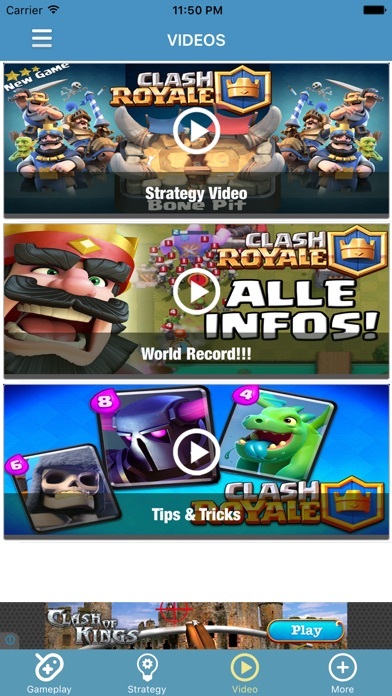 Features: 1) How to Play: Get the basic how to play information about Clash Royale. 2) It works offline(Only videos are online). 3) Card info and strategy 3) Quick updates guarantee.